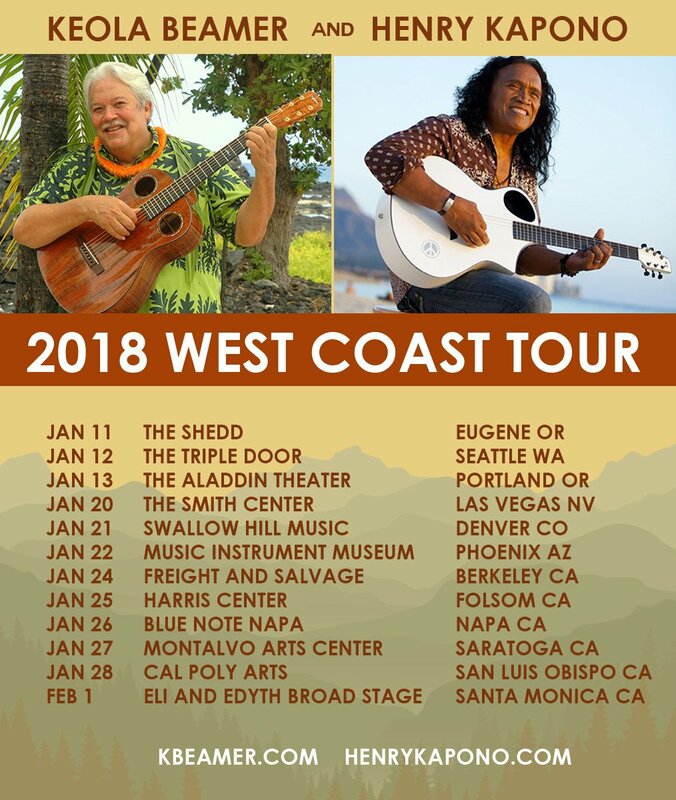 I'm really looking forward to touring with my friend - Henry Kapono coming up soon! 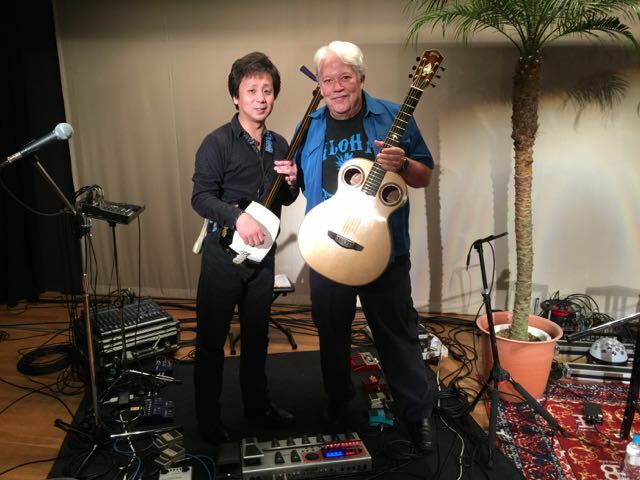 Weʻve just released a new CD! Whew ... it took awhile! For our members we offer this CD at no charge. 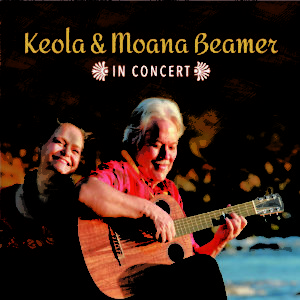 Please see Keola & Moana Beamer In Concert. For non-members, please see iTunes or CD Baby. 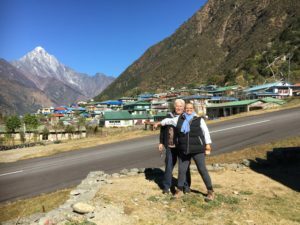 Keola & Moana Beamer at Lukla Airport in Nepal. 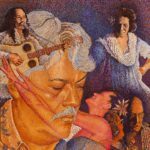 One of my favorite Music writers, Jon Woodhouse (Maui News) just published an article about my recent work.I am sincerely grateful for the journey of music. What a gift it has been to explore he world through the lens of the Hawaiian Slack Key Guitar. I had a wonderful evening with my friend Benjamin Verdery. Keola Beamer & Benjamin Verdery, chair of the guitar department at the Yale University School of Music. Ben’s students were performing in concert as a part of his master class on Maui. These young guitarists performed beautiful and inspiring pieces offered with advanced technical expertise, direct evidence of Ben's excellent musicality and awesome skill as a teacher. It was so great to feel the artistry and potential of our next generation. My wife Moana and I wish all of Ben's master class success and artistic fulfillment as they begin their journey in the world of music. I drove home feeling inspired and grateful for my own family who put up with my mischief before I found a meaningful path for my life! 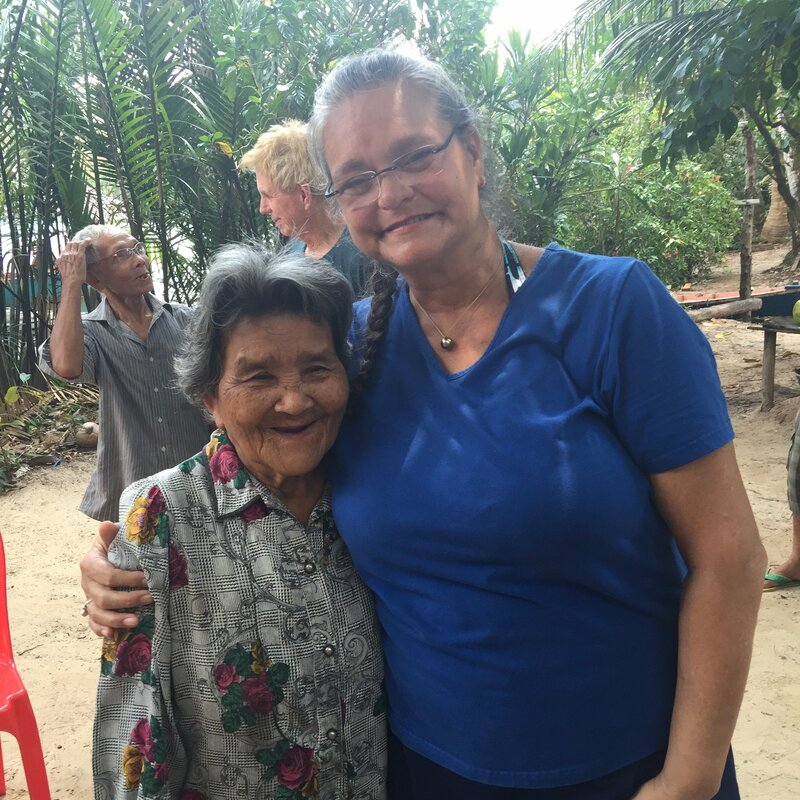 I was remembering the patience and kindness of my mother, Nona Beamer, so I added one of Hawaii’s most beloved pieces to our website. “Pupu Hinuhinu” was written by my mom and is still cherished throughout Hawai’i. 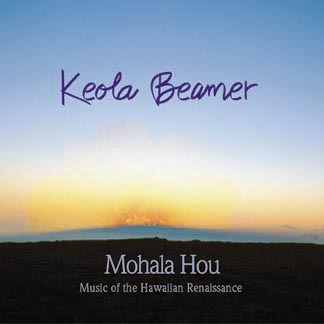 I’ve included her background materials and my arrangement for solo Hawaiian Slack Key Guitar in C Wahine (Keola’s C). Check out BEG: 25 Pupu Hinuhinu in our beginning realm. Its truly a sad day for 'Ohana Beamer. We lost my Uncle Mahi Beamer this morning. He passed away peacefully a few hours ago at Kuakini Hospital on Oahu. 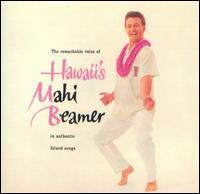 Uncle Mahi's beautiful falsetto will live forever in the pantheon of Hawaiian artistry. His recordings, iconic and superlative will remind us of a time more graceful, of a life well lived. I will miss him with all my heart. Weʻve just added a terrific slack key solo in DOUBLE SLACK. 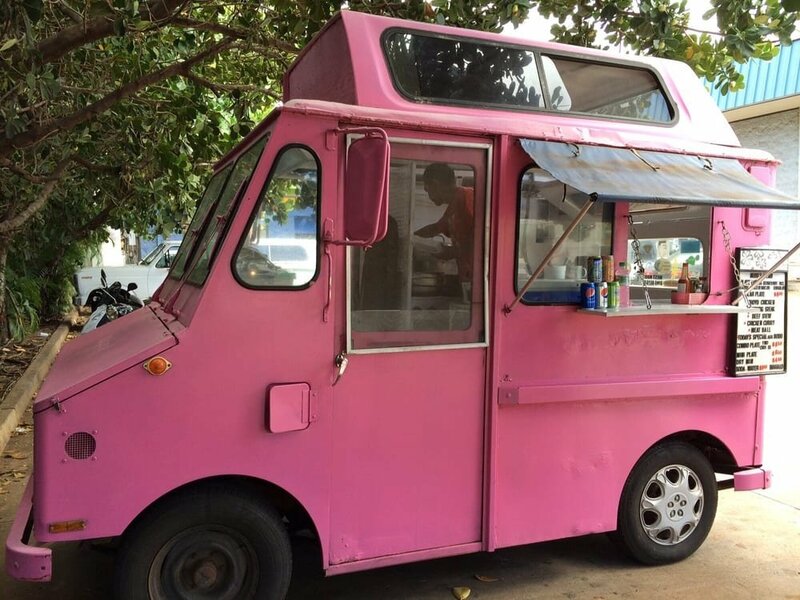 Its got a very cool feel and vibe. For a good dose of fun check out INT-26 Kamakani Oluʻolu in our Intermediate Realm. Moana and I would like to extend our deepest aloha to our members and extended 'ohana. We are leaving to the Island of 'Oahu to participate in the Lantern Floating Event at Ala Moana Beach Park. I'm with a canoe crew that retrieves the lanterns at the end of the evening. We gather the lanterns and return them to the shore to be re-cycled. The prayers are gently removed from the lanterns and taken to Japan, where they are blessed and sent to the heavens in a Saito Homa (Fire) ceremony. About 40,000 people are expected to attend this year. I was inspired by the Lantern Floating Ceremony to write a song called "Our Time For Letting Go" on my Grammy Nominated CD "Malama Ko Aloha." 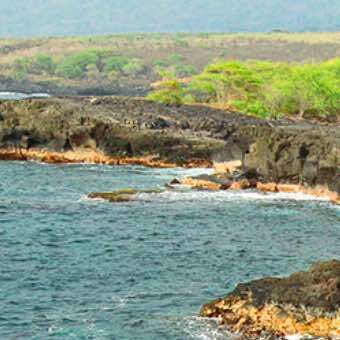 I'm looking forward to adding new teaching materials to kbeamer.com when I return from 'Oahu in early June. One of my most favorite times during our performances is the few minutes after sound check when everything is dialed in technically and I have a few minutes to run through some music before the doors open. Its great to feel comfortable on stage, knowing you are prepared, relaxed and happy. I am looking forward to performing with my protege / hanai son and awesome guitarist - Jeff Peterson and my sweet wife Moanalani. 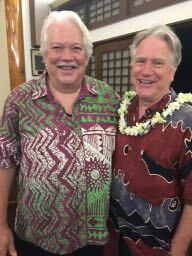 (Moanalani is an authentic kumu hula or "Hula Source") Jeff and I have some wonderful duet and solo slack key pieces to share with our audiences. At the venues, we try to come to the front of the auditorium right after the conclusion of each show. 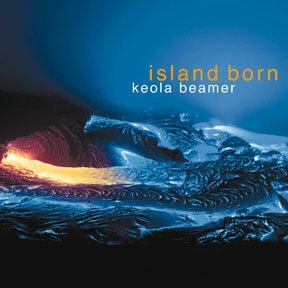 This is a great time to meet members and to “talk story” about YOUR music and how you are proceeding with your lessons from kbeamer.com. See our current tour schedule here. 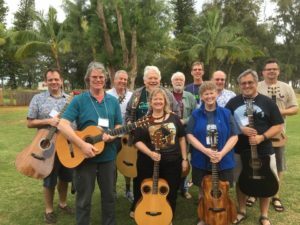 We've returned to Maui after the the conclusion of wonderful Aloha Music Camp 2017 on the island of Kaua'i. We had a great week of music, food and fun! For my advanced class, I taught one of my original pieces entitled, "Wi Ha". The Big Dogs (2 awesome ladies running with the Big Dogs this year) blew through the piece and did an excellent performance for our Ho'ike night. Way to go Big Dogs! 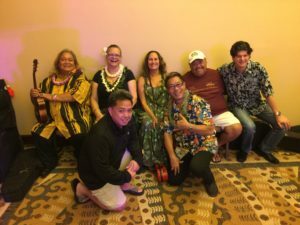 Some of Hawaii's most gifted kumu (teachers) were hanging loose at Aloha Music Camp 2017.